Cathy, I am honored to be here…it means so much to know something I said or did helped. I appreciate being included in this awesome group! Wonderful! I read all of your posts and look forward to learning more from you. You truly did inspire me to love the body I have NOW and dress it well. A lot of us need that and your great work helps us feel great about ourselves. Pam and Jennifer are two of my favourite bloggers too! Now I’ll have to look in on the other two and look forward to seeing more from you too. Thanks, Elaine! I appreciate you reading and commenting! Cathy, this gave me the warm fuzzies. I try to give tips and suggestions to help women feel more confident about pursuing their own confident style. The fact that something I said actually helped you is a great encouragement to me. You certainly did, so be encouraged. And I’m just ONE who said something. You have impacted many women – I’m sure of it. Glad you liked the post! I’m honored to be in such great company. Thanks so much Cathy. I think you look terrific. So wonderful to meet you. I’m delighted to help you anyway I can. Have a great week! Thanks so much for everything, Jennifer. I hope to meet you one day! What a great post, I’m currently going through the pajama phase, but at some point I’ll have to go out and face the world. Thanks for rounding up these ladies, some of whose blogs I’ve visited before. They all look great! And so do you! Love this! Thanks for pointing me to other fashion bloggers too! I am discovering so many good ones, but these ladies are my “go to” girls! Thanks for reading and commenting! Cathy thank you so much! Your words are so kind. You look adorable in your scarf and polka dots! 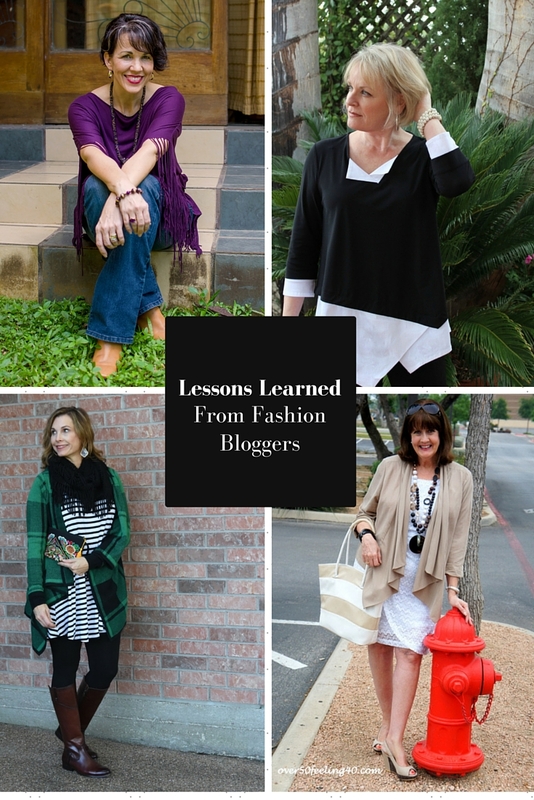 These bloggers look great and so do you, Cathy! I could never do a fashion blog, but I do enjoy seeing women look well-dressed. Katherine – I’m the same way – could never do a fashion blog myself, but I find myself really enjoying reading them. Same with crafts – I’m not crafty AT ALL, but I love seeing all the DIY blogs out there! I love this! Never considered looking for bloggers in the fashion side of life. I’m stepping back into business after being out and my last job was a jeans environment. So this post is great news for someone north of fifty! Thanks, CL! I hear ya, Mary!!!! 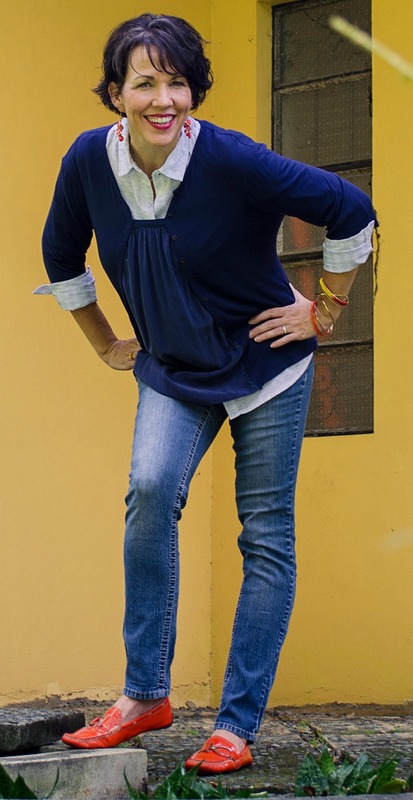 Following these blogs have really helped me get out of my fashion rut for when jeans and a t-shirt are not appropriate! Glad you enjoyed the post. Thanks for reading my blog. Your comments are always such an encouragement! Yes they are and they are also lovely people. Lots to learn from them. Thanks for stopping by and commenting! Thanks, Demeter! I am starting to have a little fun with fashion now that I have some new ideas from these great ladies! Glad you enjoyed the post! Thanks so much for reading and commenting! Great styles…you all look fabulous!!! Michelle – Thanks so much! Appreciate you stopping by! Great looks and good job with the pattern mixing of the scarf and polka dot vest. I’m trying to learn how to pattern mix too, I tend to go all black and am trying to change my ways! Nikki- you are so sweet! I will tell you – I felt great in all those outfits and never would have known how to put them together if it weren’t for “my” fashion bloggers. And they are all really great ladies! Thanks for reading all my posts and commenting! Thanks for stopping by, reading and commenting! Everyone looks fabulous! Awesome fashion tips! So glad you are co-hosting the party at Oh My Heartsie Girls Wordless Wednesday! Thanks for the welcome, Christine. Glad you like the post. Those fashion bloggers are fun people! I just love their fashion and beautiful photos. 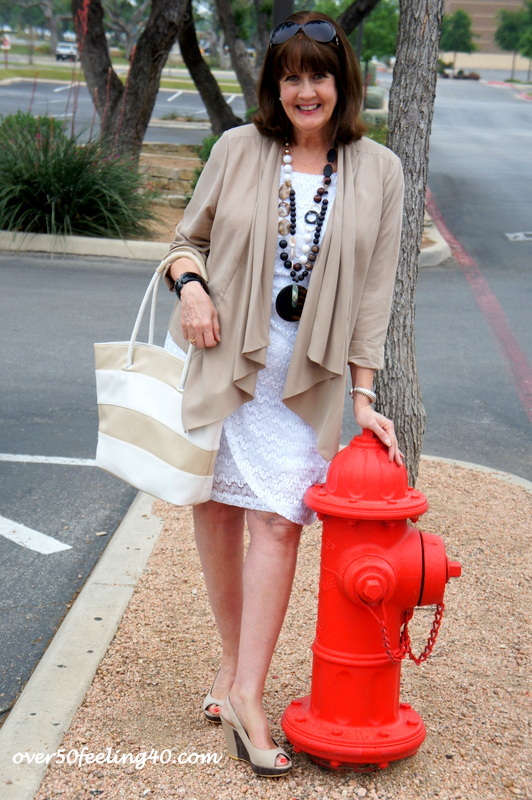 I love having a fashion blogger in our Oh My Heartsie Girls WW to help us Co-Host. Your article is wonderful and love all the fun photos! Pinned and shared on Twitter. Aren’t these ladies wonderful! So glad you enjoyed it! I’ve learned so much for them. Thanks for reading, commenting, pinning & tweeting, Karen! I think you did a wonderful job applying all the lessons learned to your own clothes, outfit and look. I see the same things but I am very very slow in adopting these things. Making the mindshift from what I see to what I have. I love that polka dot vest with the scarf too, but would never think of it if I saw pattern mixing. Sigh. And I am a very matchy matchy women. I never have more than 3 colours in my outfit (unless it is in a garment). Strange but true. Thanks, Gretje. These ladies really helped me start thinking out of my fashion box. Thanks for reading the post and commenting! Glad you enjoyed it Indah! These ladies are helping me be more adventurous! Thanks for stopping by! Evil – thanks for the warm welcome. Glad you enjoyed the post! I know they certainly helped me! You really have to admire women who take fashion out of the ridiculous NYC eye and make it for real women like us. Thanks for sharing your post with us at the Over the Moon Link Party. Sandy – that is so true! 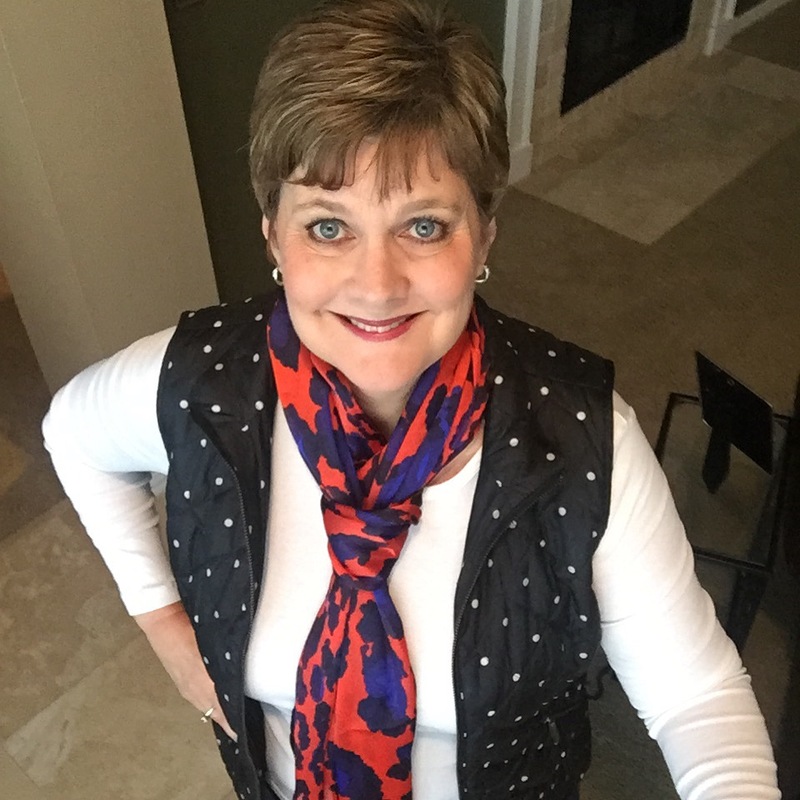 Thanks for the warm welcome and for reading my post and commenting! Hi Cathy! I work from home too, so I know exactly what you mean. It’s hard to break out of that habit. When I do put “real clothes” on my kids are like “Mom, where are you going”. Sad, right? These are some great ideas. Thanks for sharing! LOL – If I put on makeup, my grandson thinks we are going to church! Glad you enjoyed the post. Thanks for reading and commenting. Well this post was right on time, thank you. The “what am I going to wear today”, merry go round is draining. I have a closet full of clothes and nothing to wear. Waiting until I get back to the size I was several years ago has kept me from shopping for anything remotely stylish. I love your confidence and that of the stylish bloggers you featured. Thanks for the post and the tips! I’m the first to admit that when you are not the size you want to be, it is not nearly as much fun to shop for clothes that are stylish. But that is where I am right now – have a conference and vacation coming up. I am losing, but none of last Spring’s clothes fit – so off I go to the mall tomorrow – fingers crossed! Thanks for reading and commenting, Sandra! Cathy, great post! I hope someday my style blog will be one of your favorites. You are rocking those outfits. Do you mind if I use a couple of your photos for my blog? You are also inspiring me to get in front of my camera. If I wait until I loss 10 pounds it might be a long wait. You look fabulous-get in front of that camera, girl! Yes, you can use any of my photos. Going to follow your fashion blog now! Great post! Loved seeing all the fashion options, and you rocked your choices! Loved seeing all these fashion tips. You certainly rocked your choices! Thanks, Estelle! Learning a lot from those ladies! All of you ladies are Sizzling! 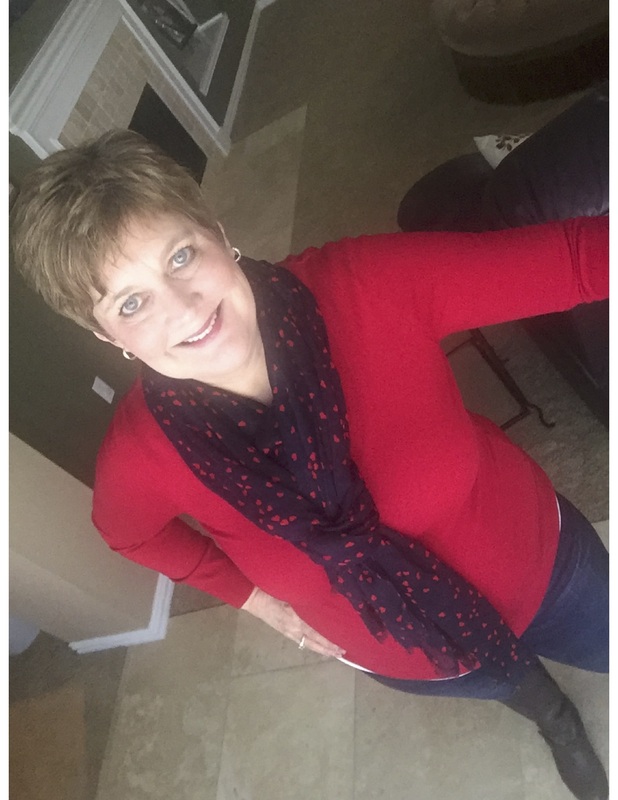 Great post Cathy and it shows we can all look great in midlife. Love it! Thanks, Sue! Hope to do a fashion post with some summer looks soon! Great bloggers! I follow them all except Shelley, and I’ll check out her blog right now! I also always love that Jennifer explains why things work or don’t work. Plus, I have started to pay attention to her recommendation to wear texture near your face to make wrinkles less noticeable! Love Shelley! Her Instagram is great. I’m planning a summer feature with some fashion bloggers! Thanks for reading and commenting, Andrea! Great post. I haven’t taken much time for fashion lately and I tend to stick with pants and a nice top, maybe jewelry. Jeans are still my favorite, maybe leggings and sweats next. My job and lifestyle don’t require me to dress up but when I need to I’m at a total loss. Thanks for the post and great suggestions. You look great too! Wonderful post! These ladies really are fabulous and inspiring with their gorgeous sense of style! Shelbee – so glad you enjoyed the post. These ladies are fabulous! 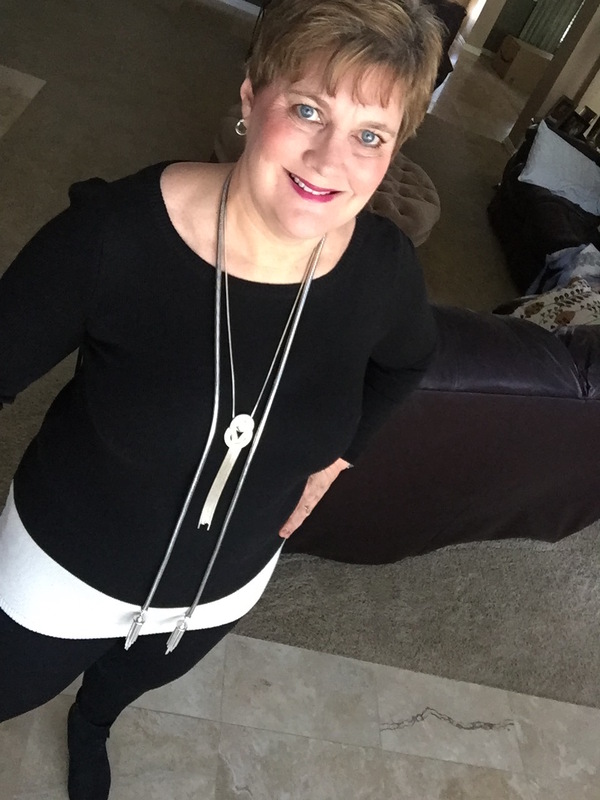 Get Your Midlife Style Back - How I Did It! Oh how I love these ladies and love their looks too! They ARE fabulous! Glad you enjoyed the post, Rosie! I wish I could get beyond worrying about my size and just wear things I love. You look awesome and it is so nice that these lovely ladies have inspired you. Sometimes, you just need a little nudge. It’s all about confidence isn’t it Cathy? These women own their look and their age unapologetically and that is what gives them such great style. Leanne – you are so right! Confidence is the start to a great look! Great post! I love all of these ladies’ styles and you look great in the outfits you styled, as well. Oh wow…all so pretty and put together. It has taken me time to realize that to feel fabulous you have to look fabulous. Thanks for sharing because there were a couple of outfits here I really want to find now! 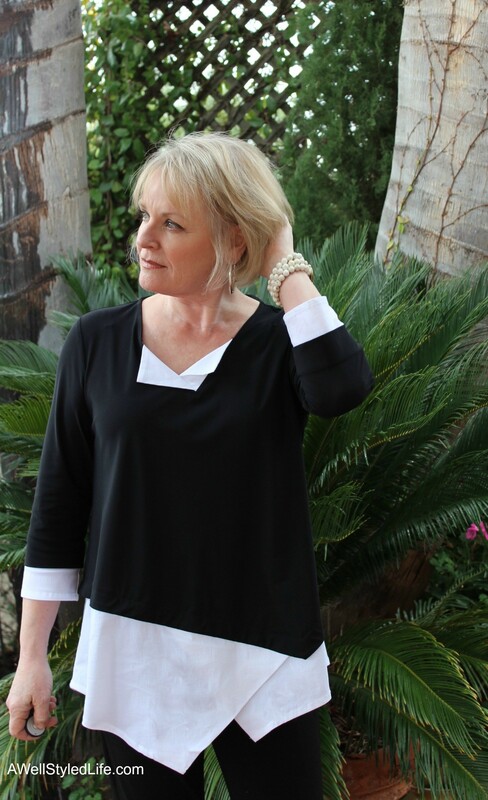 It is hard to think fashion when you feel like you need to lose weight but you are right, you need to do it! I struggle with style all of the time. I grew up in a house full of boys so things like, makeup, styles are totally foreign for me plus I work at home and rarely leave the house. I just love both Jennifer and Pam they’ve been a huge help to me too! What would we do without those great ladies. 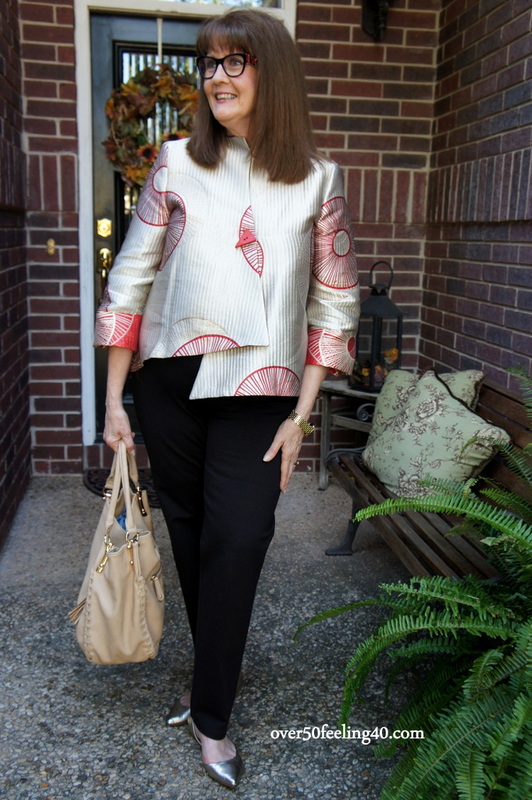 I have another fashion post with great midlife bloggers that I just posted today!